OCN’s “Possessed” will be available for streaming on Netflix on April 3, but I’m not sure about regions. Oh, yay! Thank you for letting us know!! For those who want to watch tvN’s Confession, I will upload subtitles by K-Plus Asia on Subscene & Avistaz in few hours(? ), then those sites will update. Hello!  I recognize your handle on subscene. Thank you for providing us with Eng. sub for Confession. Did you read my mind or just my wall post? Lol I was gonna ask about the instrumentals at some point. Thanks for sharing them!!!!! Since SKY Castle will be pre-empted this Friday, then will be watching Kingdom since there are only six 45 minutes episodes. Oh, so SKY Castle has been confirmed to be pre-empted this Friday due to AFC Asian Cup match after South Korea qualifies for quarter final. That means it will end next week on Friday/Saturday. Memories of the Alhambra has no improvement from her W. Hence, not looking forward to this writer\’s work anymore, except if it received pretty good reviews from various sources after it have ended. I’d say W was better, atleast narratively gripping. MotA’s comcept was good but perhaps this should’ve been a movie not a 16 ep drama with very few content to fill. I think it was a step down from W tbh. At least W tried to establish world rules for the first half. The last half fell to pieces still but ya know. SPOILER WARNING: Thoughts on SKY Castle after episode 18. \”Until when you will be obsessed with what people think of you?\” is the highlight of episode 18 for me. 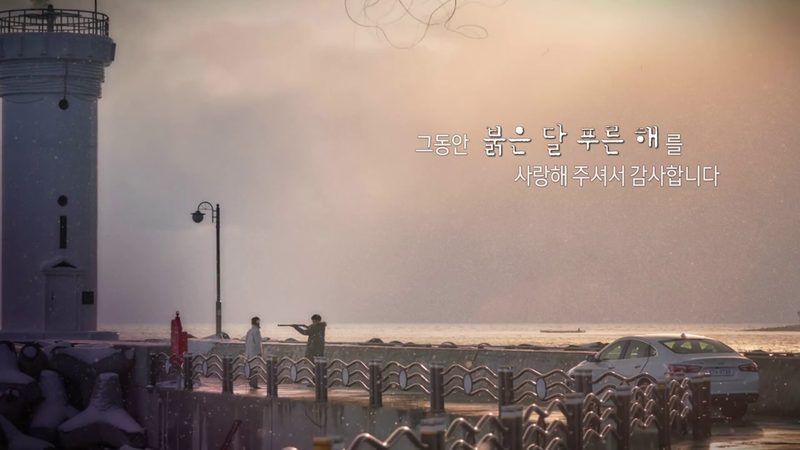 Joon Sang’s mom and him are the only ones who are blind and crazy about position and status, but the former show her realization of what her son want when he said “Can I just be your son?” while the latter first reaction to the his wife’s letter is “Mid-term exams is just around the corner, so they can’t waste time even for a second”. As much as I dislike Seo Jin, I can see her inner conflicts, and hence she realizes about his husband’s advice that Yeo Suh and her life are different. Do Yeo Suh actually really want to get enrolled into SNU herself or she is no different from her dad’s conditioning? Do Seo Jin want her daughter to be admitted really because of Yeo Suh’s future or is it because of her greedy? Even if it is latter, she was groomed to become like that by Joon Sang and his mom, like what he said that they both have been living wrongly. That’s why this is the cliffhanger as she is handed with the mid-term exams paper, what is her choice? Will she choose to stop and cure this long-lasting cycle of disease in society from her family or to justify her situation as a victim and don’t think it is something worth to do? After all, she comes from so-called “low class” people, hence her choice is major arc of the story. Oh, SKY Castle. You really great at making cliffhanger. The good thing with this drama is the comedic relief of Prof Cha and Dr. Woo\’s family, hence it is not too dark and depressing. Alright, done watching all 16 episodes of SKY Castle. Can\’t wait for new episode today! Another drama to make me stay up in the night, but it is ending next week. It will be real withdrawal..
omg it’s ending next week?!? And I’m only at ep 6! Started watching SKY Castle and already done 8 episodes in a day. Good one to replace Children of Nobody. As much as I love the soundtrack to this show, I don’t think I’ll ever get over the goosebumps inducing eerie vibe of the first track. Every time I hear it I feel like I should be preparing myself for some horror to jump out at me. It is really ended. It is sad but somehow feeling empty. There are not much things revealed in the final hour. Still applaud the writer for her work, and the casts for their great performance. They answered all of questions, so it was wrapped up really well. Kim Sun Ah embraced her role with grace, I think it was her best performance so far, the empty look at her face at the end. Empty and yet full of sorrow and burden. It would take time to forgive herself, Woo Kyung I mean. I don’t believe the stepmother did it, and I don’t believe RC only started this because of his brother. Episode 27 & 28 preview for Red Moon, Blue Sun. I hate that too! Don’t show it in the preview, please, at least. Still in denial. The good thing is the red cry case seems to remain open.